Chance The Rapper’s third mixtape, the excellent Coloring Book, has been out for about five months now, during which time we’ve also seen the release of the video for “No Problem,” featuring Lil Wayne and 2 Chainz. 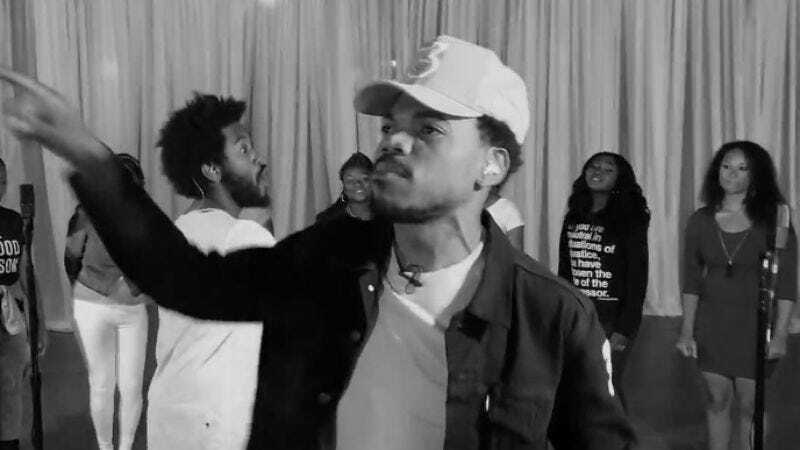 The Chicago artist’s just released another accompanying video for his album, a black-and-white performance of the “How Great.” The song features Chance’s cousin Nicole (the latter of whom is credited in that exact manner on the track listing, because Chance is nothing if not talented and adorable) at the opening, and the video opens in much the same way. The Jay Electronica collaboration would sound great no matter what, but the viewing experience leaves something to be desired. And Chance The Rapper admits it’s an odd choice, tweeting that he’s not sure “How Great” will be an instant classic. But at least iPhone users can finally feel like something was made just for them.